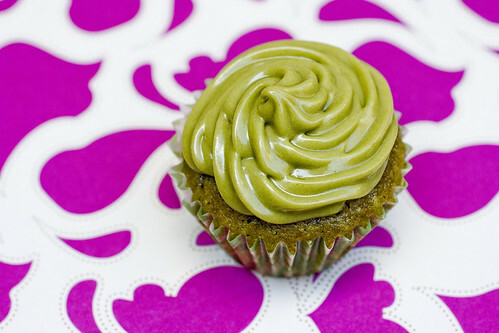 You may remember the Matcha Green Tea Cupcakes I made in November of last year. I gave a batch to my friend Sara for her birthday and she shared some with a co-worker, Jean. Jean loved the cupcakes so Sara asked me to make some for Jean on her birthday. There’s nothing that makes me feel better than people enjoying my food so of course I said yes. 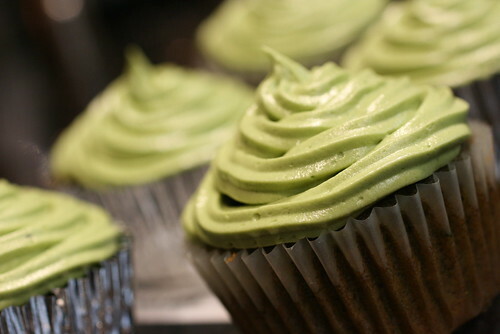 As I made these cupcakes, I was debating whether or not to post the recipe again. After all, it’s the same recipe, just cut in half. But, I decided that I have a few helpful tips to add so I’m posting. Plus, this is one of my most popular recipes and it’s so easy to make. I hope you make these for your best friend on their birthday. These look kinda like mochi huh? They’re not. They are a play on snowballs or Mexican Wedding Cookies. 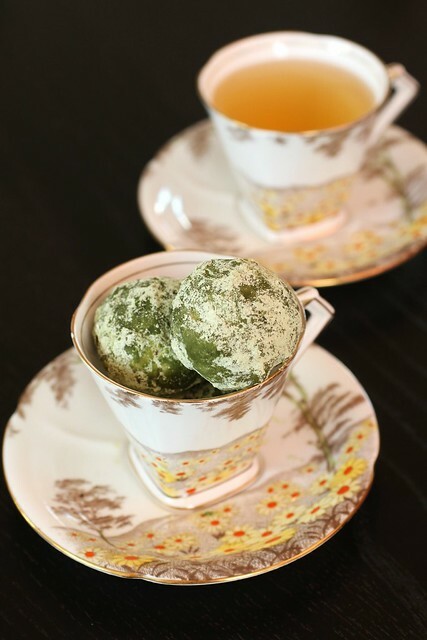 I added matcha green tea powder for a subtle but interesting flavor change, and to make them green. After all, St. Patrick’s Day is just around the corner. *update: The picture above was added 5/4/2013 since I made these for the NYC Bake Sale for No Kid Hungry. I wanted to make birthday cupcakes for two friends, Sara and Rachel, and I couldn’t decide on regular sized cupcakes or miniatures. Turns out, things worked themselves out, two people meant I could do both. I must be on a lucky streak because this recipe also turned out to be perfectly one tray of regular sized and one tray of miniature sized. (update with smaller recipe portion here) Oh, and absolutely delicious too!